Another competitor in China’s group buy e-commerce market. Alipay, the third-party online and mobile payment platform operated by Alibaba affiliate Ant Financial, today announced the addition of a group buy feature to its app. 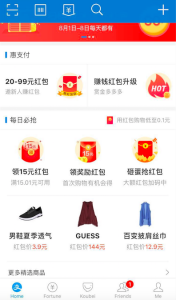 According to details in a report by PingWest, this new feature will permit Alipay users to receive time-based recommendations for the purchase of daily necessities, food, and clothing across multiple Taobao stores. By clicking on the ‘Group Buy’ (拼团) tab located at the bottom of Alipay’s user interface, users can form their own groups, invite friends to join and also join existing group buys to enjoy discounted group deals. 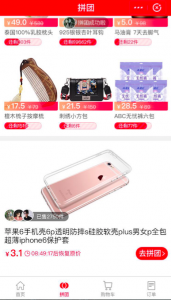 Latest deals can be viewed by scrolling down from Alipay’s home screen. Alibaba Group claims to have more than 430 million monthly active Taobao users and 550 million domestic Alipay users to date, signalling the foundational traffic it has to grow this new feature, unlike Pinduoduo that relies mostly on Tencent for user traffic. This foray into the discounted group purchasing space comes as Nasdaq-listed Pinduoduo faces public scrutiny over the issue of counterfeit goods on its platform. The latter has enjoyed a quick rise, dominating the e-commerce sector in lower-tiered Chinese cities by offering discounted group purchases. The competition between the e-commerce majors is set to escalate as Pinduoduo is set to directly compete with Alibaba in this space. Solving the problem of counterfeit goods and becoming more responsible for user behavior on their platforms is likely to be a growing focus for these large firms as well.